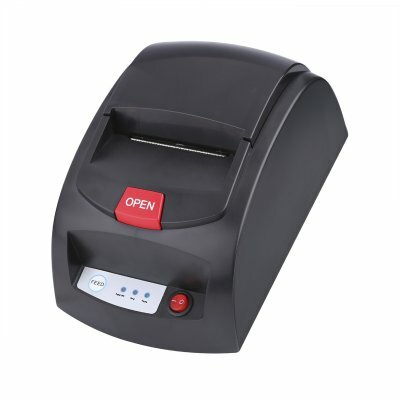 Successfully Added 48MM Thermal Receipt Printer - 384 Dots Per Line, 60mm Per Second, Vast Character Set, Serial in, USB In, RJ11 In to your Shopping Cart. Receipt printers are a mandatory requirement for any business with a Point Of Sale (POS) setup, in fact, it's virtually impossible to operate without one. That's why you want a reliable printer that can accommodate all your printing needs such as promotional barcodes. This 48mm thermal printer has a vast, extended character set so it's able to print in Arabic, Hebrew and Greek as well as all major European characters not to mention Chinese, Thai, Vietnamese and more. With its fast 60mm per second print speed and 384 dot per line resolution so you get quick clear results with every print. Working with 48mm thermal paper means that this printer has no messy ink to change so the only maintenance that's needed is to load the paper when it runs out. With its versatile connectivity, you can use this thermal printer over a USB, serial or RJ11 connection and it comes with the serial and USB leads required for your convenience. This Thermal Receipt Printer comes with a 12 months warranty, brought to you by the leader in electronic devices as well as wholesale electronic gadgets..